ST. GEORGE — In the midst of seemingly endless debate about America’s rising health care costs, St. George Surgical Center Administrator Ty Tippets was invited to speak to the U.S. Senate Health, Education, Labor and Pensions Committee about how cost transparency can reduce spending and empower patients when making health care decisions. 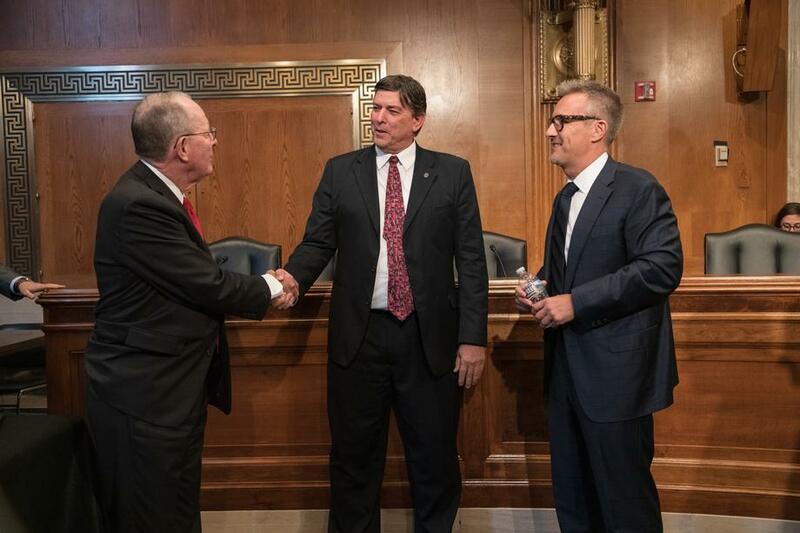 Tippets testified last month alongside three other ambulatory surgical center executives in Washington, D.C. Ambulatory surgical centers specialize in providing outpatient surgical and preventative services at a lower cost than hospitals can provide. In his testimony, Tippets shared St. George Surgical Center’s experience with an initiative to bundle surgery fees and make prices accessible on their website. The bundle includes surgeon fees, facility fees, anesthesia and any surgical implants into one price. To date, they have posted the prices of 220 outpatient procedures they offer. They were one of the first ambulatory surgical centers in the nation to begin openly sharing the cost of their procedures online. “Anytime that happens, it will help the consumer make some informed decisions,” Tippets said. Eighty-nine percent of patients want to know what their medical costs will be, but only 26 percent of them actually make the effort to find out because of the inconvenience of doing so, Tippets said, adding that health care is one of the only industries where consumers do not feel the need to know what the cost of service will be beforehand. Making prices easily accessible to consumers allows them to research and make informed decisions about where they should go for health care, Tippets said, which will ultimately reduce the cost of health care through free market competition. Tippets suggests that insurance companies and physicians refer patients to ambulatory surgical centers and other lower-cost facilities instead of the more expensive hospital outpatient departments in order to reduce the national cost of health care. Nationally, ambulatory surgical centers save Medicare around $2.5 billion a year, Medicare beneficiaries $1.5 billion a year and private patients approximately $40 billion a year. 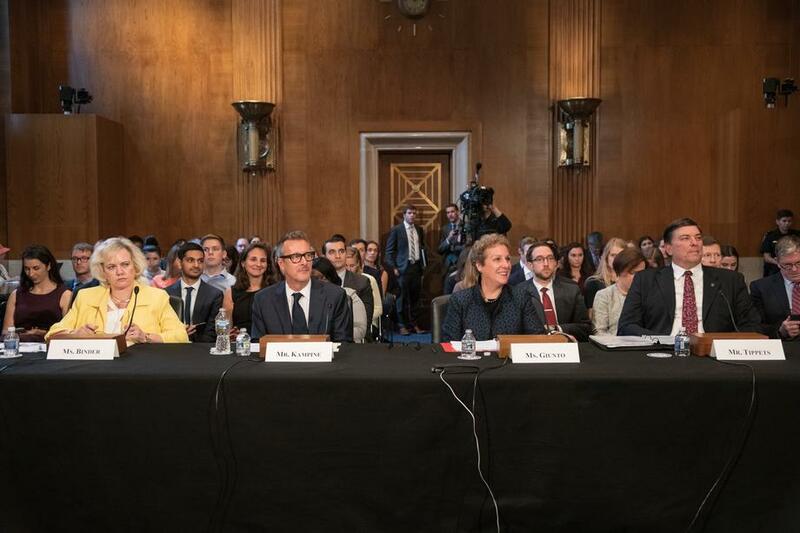 In his testimony, Tippets said that Medicare, insurers and other payers should encourage patients to seek lower-cost settings and look to more innovative methods, such as initiating tiered co-payments, to give patients the incentive to seek lower cost care. He said payers should also publicly post information about amounts covered or the beneficiaries’ out-of-pocket liability for care. Consumers should not only look at cost but also at the quality of services and patient safety — higher cost does not necessarily translate into higher quality, Tippets said in his testimony. St. George Surgical Center performs approximately 4,500 procedures on 2,600 patients annually. The center offers lower prices, which can save patients 60-90 percent on cost while also offering high quality care. By using best practices, the center says it maintains a low infection rate of 0.037 percent and a 99.6 percent patient satisfaction rate. While both surgical centers and outpatient departments are required to report on a variety of incidents, the difference in reporting requirements between the two at a federal level make it impossible to accurately compare quality and outcomes between them. For instance, surgical centers are required to report patient burns, patient falls, wrong site surgeries and hospital transfers for Medicare and Medicaid patients through the Centers for Medicare and Medicaid Services Quality Reporting Program. Surgical centers have been consistent in their reports on these incidents, so much so that CMS recently proposed to eliminate them from their reporting system. However, the surgical centers themselves have requested that they continue to be required to report incidents and even expand them to include all patients, not just those with Medicare and Medicaid, and for all other surgery centers to do the same so patients have a more accurate picture of the quality of the center. “I really think that as we look at empowering patients out there, empowering consumers, we can really go a long way to help address the cost of health care,” Tippets said. We cannot get a handle on it as long as the government decides the coverage we must have because that really increased working people’s costs. You want prices to come down. Get the damn government out of it and watch competition work. It’s demands make OSHA look like they didn’t even try when they wrote regulations. I once had a physician reviewer who did not even understand how a very basic ER medication worked. Hospitals spends hundreds of thousands of dollars preparing for these reviews. Where are the biggest costs in a labor intensive industry — people. Are hospitals adding more people who care for patients or more people who are management? Look up the graphs, you’d be surprised. Hospitals have a committee of ten for everything you can imagine. In the ER, and thoughout the hospital there were very strict maximum numbers of people you can hire taking care of people. But, no such rules for management. In our small ER we had 5 management people in xolsiming ehy we could not have more nurses. I call the management people the non-revenue generating parasites all the rest of us must support. The list of what could be done to get costs down is very long. The article talks about using incentives to help patients find lower cost choices, while those on welfare use the ER as a clinic. I was finally able to create a way to get those people to physicians’ offices where they belong without the government going nuts. Instead of doing wh-at we know, we now have the focus on making money for the hospital, not making money to care for patients. Our focus is on groups of management people we’ve never even met. Patient care personnel are like an X-ray machine or computer — another item easily traded out. ’m sorry I rambled a bit. But, there is so much that can be done.